Blockchain has the potential to eliminate routine tasks for finance and tax teams, but most back-office executives aren't even considering the technology, according to a KPMG survey. More than half of tax and finance executives are interested in adopting technology to automate routine tasks, but most are not considering blockchain as a solution because of a lack of resources, funding and technological capabilities, according to KPMG. The company this week released data from a February survey of about 450 tax and finance execs who responded to various questions on blockchain and other technologies. While 60% of respondents said they would be willing to adopt technology to automate repeatable tasks, 94% said they are not now using blockchain or are unsure whether their organizations are using the technology. Tthe primary reasons many haven't adopyed blockchain include a lack of resources (33%); funding (22%); and a lack of technology capabilities (22%). "The C-level knows blockchain exists...and they know it does something – and then it stops. They're not quite sure how that applies to their business," said David Jarczyk, KPMG's innovation principal and tax leader for blockchain. Jarczyk's job at KPMG is to explore how blockchain can help back office and middle office functions such as tax, trade, finance, supply chain management. "Those aren't 'A-Ha' moments when you read the press about blockchain," Jarczyk said. Instead, what's mostly publicized involves cryptocurrencies or, at best, retail companies such as Walmart using the distributed ledger technology (DLT) to track and trace produce shipments. "The issue we run into is we're talking about back office and middle office operations, which are seen as cost centers. Cost centers historically lag in the adoption of new technologies because funding goes to the front office," Jarczyk said. "I think education is key. We teach our clients...to get more involved with the front office when they hear the word blockchain because the benefits could turn into a real return on investment." A survey released earlier this year by KPMG found that nearly half of IT execs believe blockchain will change the way their companies do business over the next three years, and that the top benefit will be improved business efficiency. Along with the 48% who indicated blockchain would likely change business practices, 41% percent of respondents to that KPMG survey said they're "likely" or "very likely" to implement blockchain during the same timeframe. Blockchain, Jarczyk said, is like a spreadsheet on steroids that can automate certain tasks, build greater transparency, speed and reliability, and provide a single source of transactional information. The ROI from blockchain's use for back- and middle-office applications would come from amalgamating data from disparate sources, such as spread sheets, .csp files, databases and warehouses as well as business applications such as Salesforce, and then applying artificial intelligence applications to parse useful information. Blockchain would, Jarczyk said, eliminate "repeatable tasks" such as inventorying key data from disparate sources onto a single blockchain ledger – a data warehouse – so it can be analyzed for any number of financial purposes. Instead of teams spending hours finding and connecting data, they could instead be focusing on analyzing that data for a real return and benefit to the organization. "When we talk to CFOs, chief tax officers and even some CIOs, they say, 'My goodness, trying to inventory the data we have in this international [operation] is problem No.1,'" Jarczyk said. "So it comes down to inventorying data, deciding how and if it reconciles, chasing down anything that does not reconcile or errors, and then letting the people [like economists and financial analysts] get back to their day job. "Blockchain listens to a company's current systems, their suppliers and even their customer data and pulls all that data together automatically," Jarczyk continued. "So, now you're left with a single source of information – even if it's not perfect, it's still a single source to draw from." Blockchain, however, doesn't integrate directly with ERP systems, spreadsheets or databases. Instead, custom-built APIs and data-sharing standards, such as GS1 (best known for the machine-readable barcode protocol), have been used to enable interoperability with legacy systems. For example, the IBM Food Trust, a blockchain-based supply chain management system, avoids manual data input by leveraging legacy tech investments through the GS1 standard; it automates the transfer and understanding of data between different parties on the electronic ledger. "We translate GS1 standards into files that can be easily ingested into our solution via API," said Brigid McDermott, vice president of the blockchain-based IBM Food Trust. 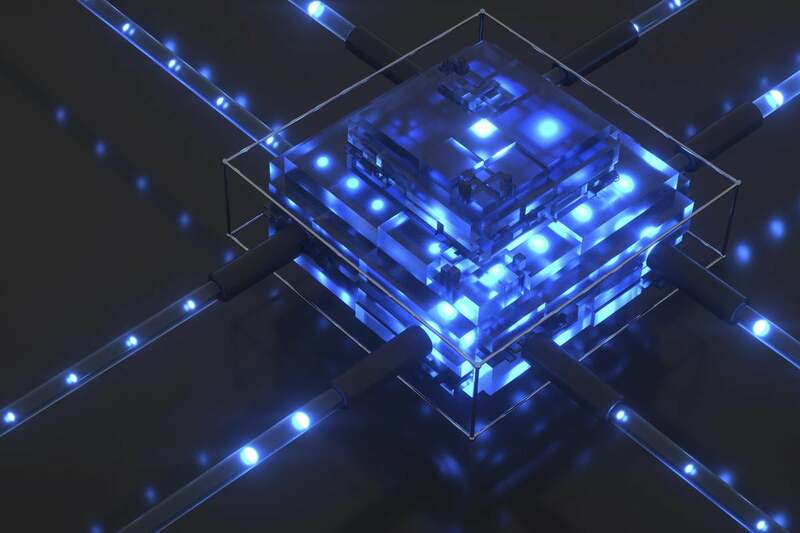 "We've been figuring out what connectors will optimize usage of a legacy system – how to connect an existing ERP system into our blockchain data. Some businesses use Excel spreadsheets, but the idea's the same." In a similar way, APIs can be built to enable data from various disparate systems to feed automatically onto a DLT ledger. KPMG is currently in an experimentation and proof-of-concept phase with its clients to develop blockchain-based data ingest systems. "What I'm allowed to say right now is it's significantly faster than all the prep work of the other options, such as a data warehouse requires you know all your algorithms ahead of time; with a data lake you have to set up metadata tags beforehand," Jarczyk said. "With a blockchain technology, all you need is an inventory of the systems and the data dictionary, which most companies have." This story, "Tax and finance execs show interest in blockchain, but see hurdles to adoption" was originally published by Computerworld.